Members of the Friends of Petersfield Heath were concerned about the welfare of a pair of mute swans nesting in the reeds of Heath Pond, close to Sussex Road. It appears there was disturbance to the nest after a first clutch of eggs had been laid. The cause of the disturbance has not been identified, though rats, dogs, or foxes may be the culprits. 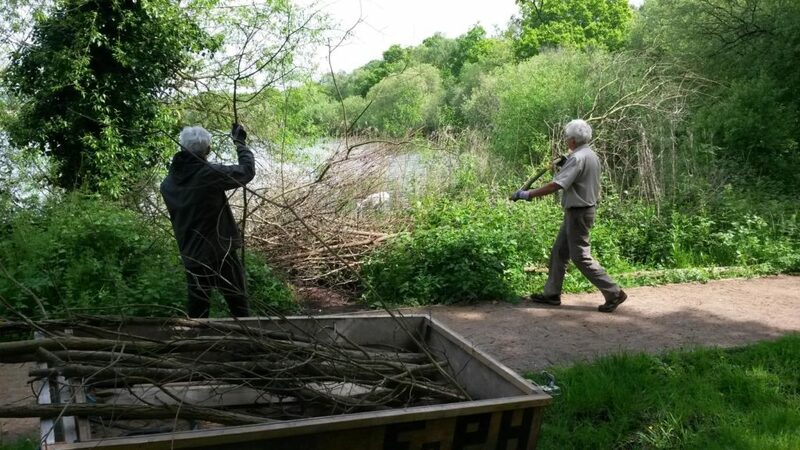 Bird specialists Alf Smallbone and Robin Hart undertook to build a barrier screen to try to protect the swan nest. The nesting pair of mute swans had laid an earlier clutch of eggs, but some had been found ejected from the nest and lying in the water, the nest abandoned. It is hoped the new clutch will have every chance of hatching if the nesting swans are given as much privacy as possible.